Hey everyone! I’m Pramod, Level Designer on some exciting internal projects. Moving from India to study Game Design at The Guildhall at SMU was a big leap into the world of designing games. Accepting an internship at Virtuix immediately after graduation, moving to Austin and then joining as a permanent employee here has been downright amazing. Ever since I got the opportunity to use the Oculus DK2 and the HTC Vive with the Omni, I’ve wanted to explore fun aspects of gameplay and visuals uniquely experienced in this medium. 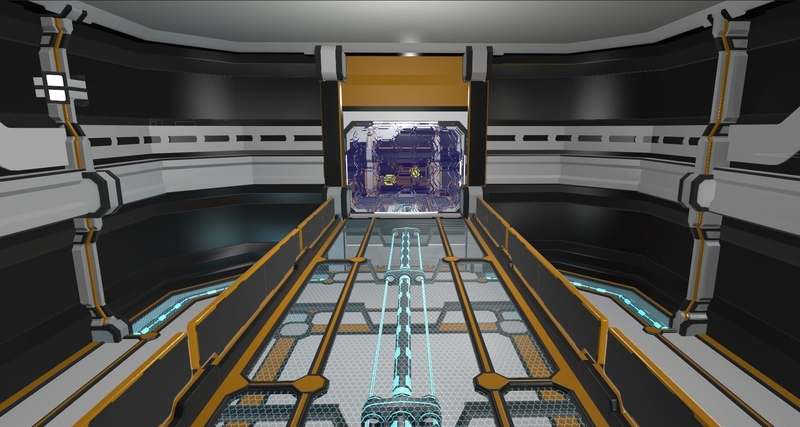 On the gameplay front, for my level in TRAVR: Training Ops titled – “Code Red”, the focus was to explore player movement i.e. encourage the player to use the Omni for full range of movement. 1. To ensure a sense of urgency throughout the level, I introduced Timed Sliding Walls that gives slow players a sense of dread seeing their missed targets go forever out of reach. 2. 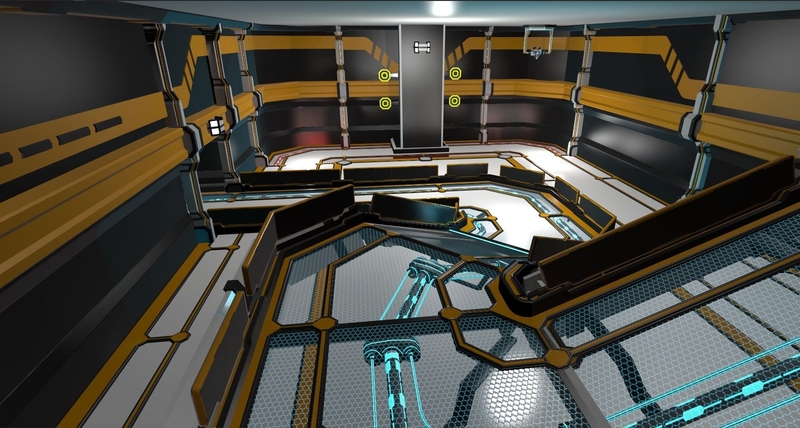 Going in, I knew that gauging the player reaction time was key to scripting the timing on the sliding walls. 3. The gameplay was tested frequently with different play testers and myself (Yeah, this job keeps me fit!) with different input controllers, an assault rifle for Oculus DK2 and Dual Pistols for the HTC Vive. These playtests gave an accurate representation of both the flaws to be addressed and highlights to be reinforced. People run, move and react and shoot different. So design and observe the other users playing to recognize the gameplay sweet spot! Exploring the use of Scale, specifically Verticality in the environment was great though very challenging. 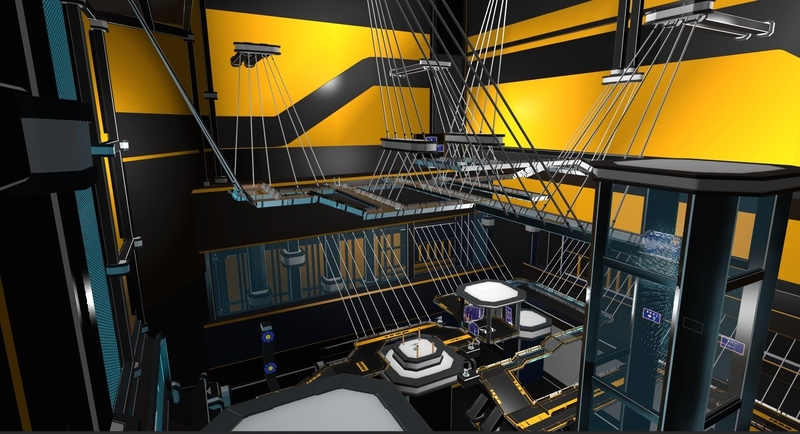 “Vertigo” was the biggest level made until this point for TRAVR: Training Ops so optimization techniques were still being explored. The big challenge was to have 3 Rounds of Gameplay and Visuals always rendering, i.e. Frame Rate concerns from the team were immediately raised by the team (we’ll get to that later). 1. The idea was to have a vast open space to give players a sense of appreciation of the environment (Tomb Raider reboot anyone?). From a visual standpoint I chose a spiral layout to showcase all the upcoming rounds, always leading the player up. With all the above improvements, the above levels look and play great at the moment and will only get better until release. It’s great to explore untested waters but recognize potential challenges early to start working on them right from the beginning as a team. Communication with team members is essential to bring up potential issues and find solutions / workaround to get the desired result.